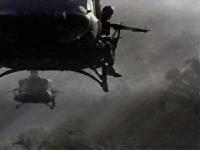 Vietnam War Battle Action Pictures and poems. 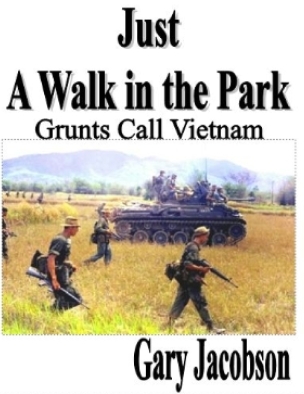 Vietnam War Picture Tour and poetry, from the lens and poets pen of a combat infantryman. Vietnam and Iraq combat action war pictures and poetry From the lens and poet's pen of a combat infantryman in Vietnam, come poignantly thrilling battle action pictures and war poetry of a 1st Air Cavalry Division groundpounder, as well as stirring tales of Marines, Airborne Rangers, Special forces, the Americal, 1st Infantry Division, 9th Infantry Division, Wolfhounds of the 25th Infantry division. Gary Jacobson walked the walk in Nam with the 1st Air Cavalry. He's been there/done that, so this skytrooper can talk the talk, and walk the walk. Experience chilling reality to leave the sweet and sour taste of "the Nam" pungent on your tongue, the smell of "the Nam" acrid in your nostrils, and textures of "the Nam" imbedded in you as though you were walking beside me in combat. C'mon, get an "up close and personal" feel for this Southeast Asian war through pictures and the written word. Besides, you don't want to live forever, do you? Take my "Vietnam Picture Tour" here! Come along on combat patrol with me, in action pictures and verse of war reality that will leave "the Nam's" sweet-and-sour taste pungent on your tongue, the spicy smell burning acrid in your nostrils, caustic textures of "the Nam" embedded in you as though you walked beside me in combat. I'm Specialist fourth Class, Gary Jacobson, a combat infantryman with B co, 2nd of the 7th, First Air Cavalry in Vietnam...we call ourselves Grunts. The picture tour is ten pages, but really, c'mon, what are you afraid of? You don't expect to live forever, do you? Click this flaming logo to take you to my personal pictures in a virtual tour of the Vietnam war, where you too will feel you are walking beside me with the 1st Air Cav on combat patrol. Here you will taste the fear hot and heavy on your tongue ... you will feel the camaraderie ... the close brotherhood of men walking the rim on the cusp of life and death. each poem with more battle pictures...! Introducing my newest book fresh off the presses, a novel packed with beaucoup truth from my memoirs blended with facts happening to me, or to soldiers just over the hill ... creative nonfiction/fiction, with over 150 color pictures I took in combat action. These were indeed times that defined men's souls; times that set the foundation and tenor for all life to come, eternally affecting your FOREVER, as well as generations of lives surrounding your life. Vietnam was my delineating moment, after which, in Shakespeare's words, "Life is but a walking shadow." This book will thrill you with heart-stopping action, fear and danger ... specters of death floating in the sweet-and-sour air ... but then, you don't want to live forever, do you? Click here to go to Marketplace, to learn more about this book and others! 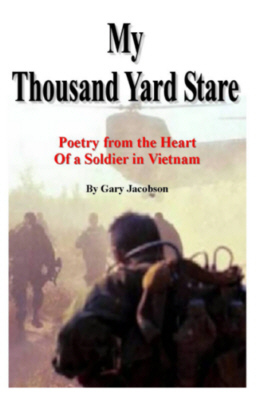 Poems of war mainly from a grunt in Vietnam, but also poems of Iraq/Afghanistan, by Gary Jacobson. This poetry tugs at the heart, stimulating the spirit with touching words, noble words, emotion packed words, from one who has been there/done that, who has indeed walked the walk, and now talks the talk ... in words to bring back sweet-and-sour memories to heal the warrior soul in a way of understanding for brothers. My Thousand Yard Stare contains beaucoup poetry in 265 pages, with over two hundred full color pictures of my comrades-in-arms of the 1st Air Cavalry; also featuring the 101st Aireborne Screaming Eagles, Marine Leatherneck Devil Dogs, 25th Infantry Division Wolfhounds, The Americal, The Big Red One, The 9th Inf Div, the Mekong Delta Riverine. My Thousand Yard Stare tells the emotion-packed story of the feelings of a grunt at war, in words that make us remember the times we walked the edge of existence. If you weren't in fact there, this poetry will make you feel like you were right there walking beside me in combat. My Thousand Yard Stare will give an appreciation of the great and terrible sacrifices made by brothers and sisters in war, in sweet-and-sour poems of combat, both on the battle front and plaguing the mind today. They tell of forever devestation, heartache, fears, the struggle with the supernal against the evil. Wrong and right besets the combat infantryman with the moral and immoral in the inhumanity of men towards men, that turned upside down all values carefully taught by parents, church and society. My Thousand Yard Stare deals with hatreds and killing, death all around, the dying deeply profound... the wounding of the spirit so telling as to leave an eternal hole in my soul deficit, forever! Remember, books make great gifts for that special veteran, or his family, or that student of the now generation who needs to know! Click here to go to Marketplace, to learn more about this book, and others! Please consider donating to Vietnam Picture Tour! You may donate here through the convenience of payPal, or your choice of credit cards. Click here to DONATE! Or you may please consider dropping something into the mail to help keep this site up and running! Any amount helps. Thank you! Brotherly huggzz!!! Please note: This site protected by U.S. Copyright Law! Any copying of pictures, text, or poetry is forbidden without permission from the author, "Vietnam Picture Tour." 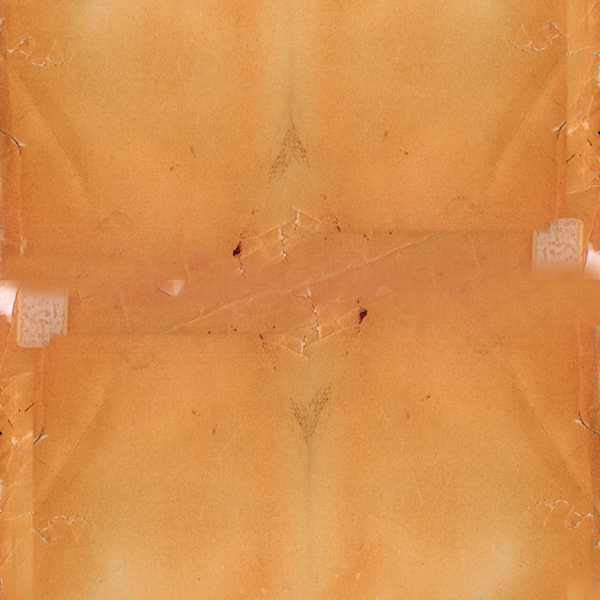 All pictures and poems © 1999 by Gary Jacobson. to find poems of love and romance, spirituality, meditation, humor, Golden Oldies, Knights Quests, dueling dragons, and frolicking fairies! If you approve of this site, please show your approval by clicking above graphic...which will enter your vote for "Vietnam Picture Tour," as a top military site! I welcome your comments...Email me!